March 24, 2016 Alice Meacham Garden Design5 Comments on Here’s one I did earlier…. Here’s one I did earlier…. A client in Lyme had acquired a small ‘L-shaped’ slice of land behind their current garden. But it was such an odd-shaped space that they didn’t know what to do with it. 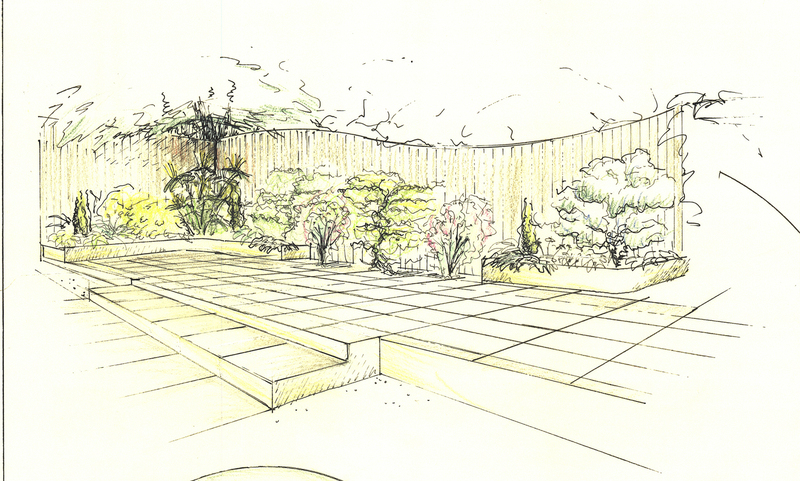 So they asked me to come up with a design that would give them an attractive seating and dining area, and planting that would cope with the semi-shaded, dry conditions. And what it looked like before…. The hard landscaping and fencing was constructed by the lovely boys at Seaton-based Cornell Construction, and plants supplied by Rainbow Plants. Thank you so much Lucy, what lovely feedback. Once again Dorset is a more beautiful place due to your designs becoming reality. Another masterpiece, well done Alice. Hi Alice, You’ve become a difficult person to contact, hope all is well, very best wishes. Ed. Brilliant work by the way.